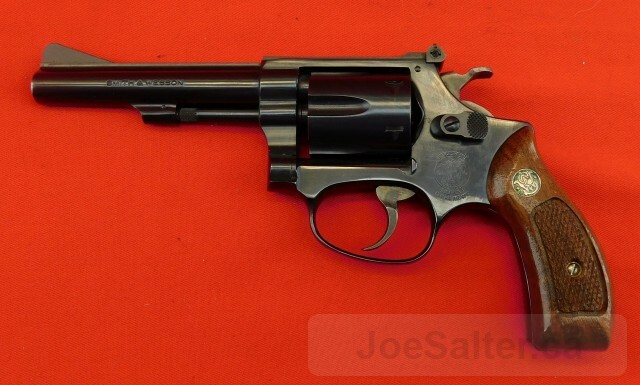 This is a fine Smith & Wesson Model 34-1 revolver chambered in 22 LR. Barrel is 4" with a near excellent, bright strong bore. Metal surfaces are blued and retain about 98% plus original finish with only minor handling marks. 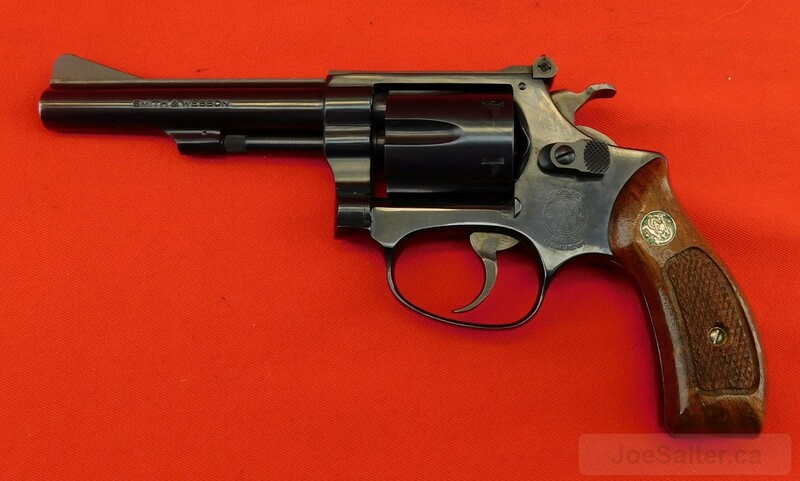 Trigger and hammer are case colored and retain about 95% coverage. Smith and Wesson monogrammed wooden grips retain sharp checkering. 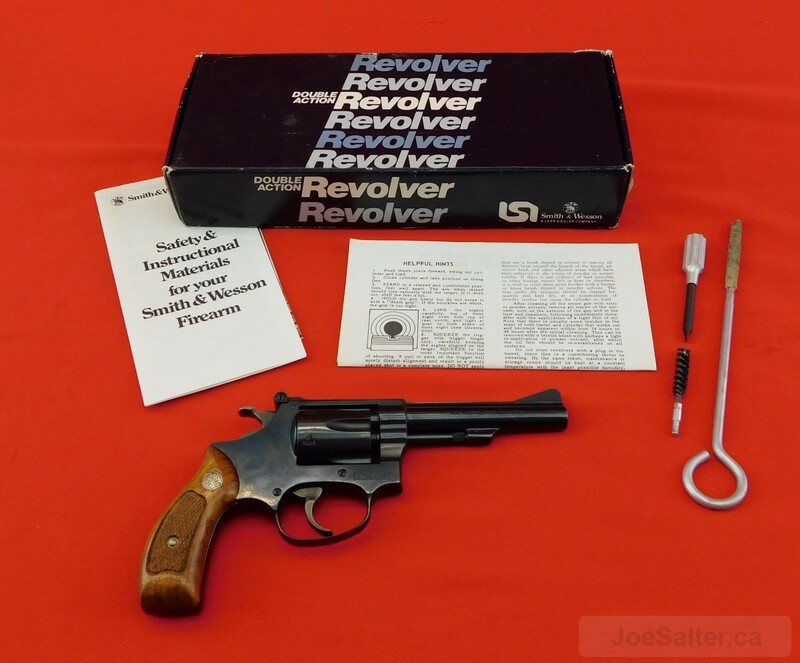 Listing includes the original box serial numbered to the revolver, paperwork, cleaning rod and S&W screw driver. 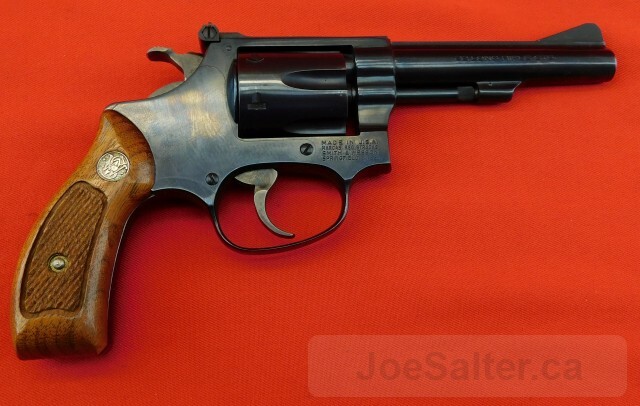 A fine revolver.